Did you know that you can borrow new release DVDs and audiobooks ? Check out our selection in the front of the library. Periodicals (going back a year, back issues are available for checkout) and newspapers are located in the back of the library. The Friends of the Library are selling coffee here now. Just $1.00 per cup and located to the right of the Circulation Desk, enjoy your coffee in the back of the library. Available are Green Mountain varieties, Celestial Teas, Hot Cocoa, and Newman's Own Decaf... enjoy a cup and know that you are supporting your library! Please see Little Free Libraries for more information. 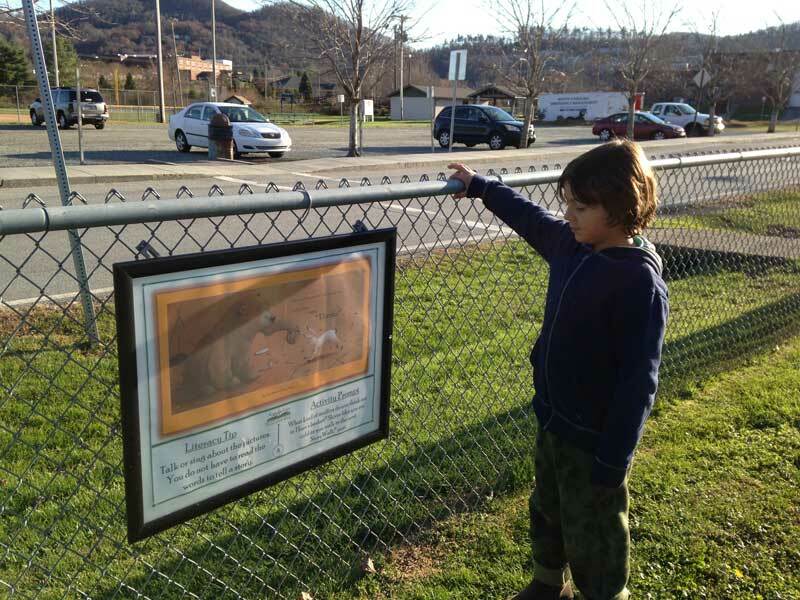 A StoryWalk consists of pages that have been removed from a picture book and glued onto posters, which are then staged outside the library, in a park, or other walkable public space. Presently they are located at Blowing Rock Memorial Park, the Tot Lot Playground near the Greenway (across from the Armory) and at the Cove Creek Walking Trail (near the Western Watauga Branch Library) See here for more information. Start your own garden and share the seeds, staring on April 1st, 2017 the Watauga Library will host a seed library. Free seeds will be available for check out just in time for gardening season. Look for the seed catalog near the circulation desk.